How fast are we moving? Consider this (as Thomas Friedman points out in his excellent new book): Since 2007, just ten years ago, we have seen the launch of the iPhone, Twitter, Facebook (which opened to anyone 13+ in late 2006), Kindle, Android, IBM Watson and much more. Pause a moment to imagine your life prior to all these inventions, their connections, their impact on nearly every minute of your daily world. Kurzweil points out how the pace of this change is accelerating, not slowing down. 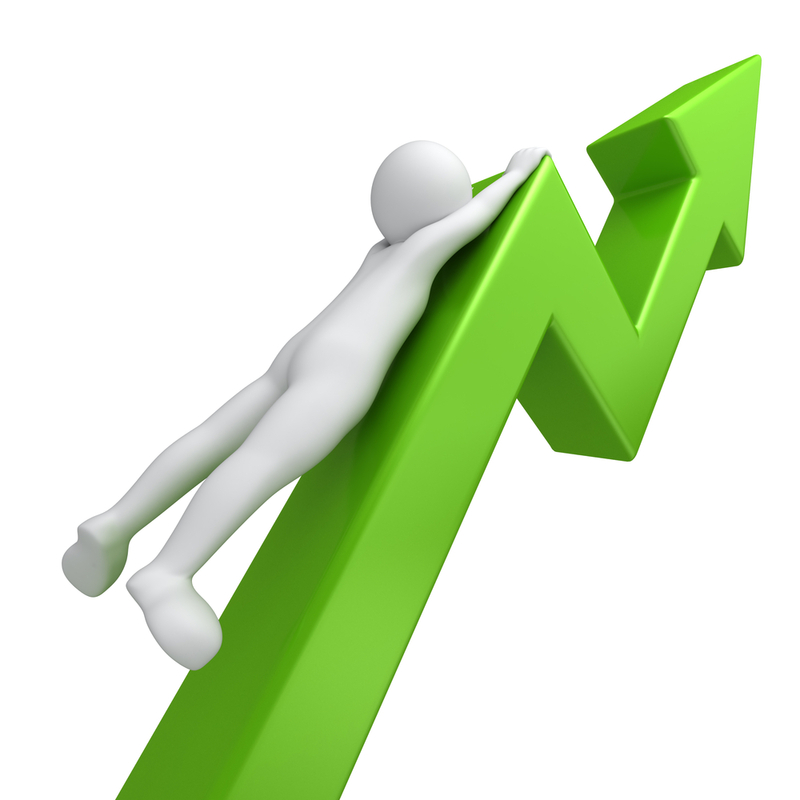 Is there a rate of change that exceeds our capacity, and desire, to assimilate and adapt? Some argue that technological change, and its significant impact on culture, lifestyle, and the economy, has already caused citizens in many parts of the world to feel dislocated and want to put the brakes on the forces of change. Arguably the “please-slow-down” philosophy is being manifest in the political turmoil against globalization and technology in the form of Brexit, increased nationalism, and has created some of the backlash that has resulted in the rise of Donald Trump. Clearly, Trump is not exactly giving a vote a confidence to technology and change when he recently said, “I think that computers have complicated lives very greatly. The whole age of [the] computer has made it where nobody knows exactly what’s going on.” Many who voted for Trump agree. The blue collar worker – and frankly everyone else – is facing a tsunami of technology driven “threats” to certain professions. Consider that there are 3.5 million people in the US that drive goods and people from one place to another. Transportation is the largest employment in 29 states. 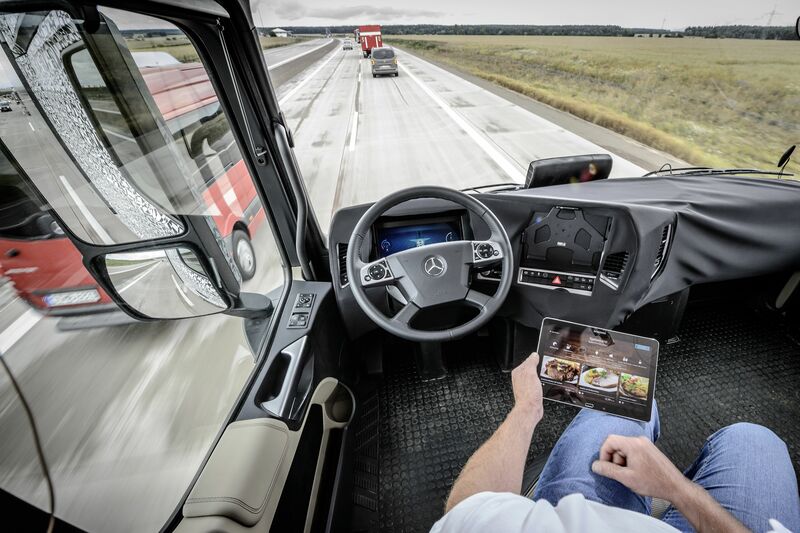 With the advent of driver-less trucks and cars, those jobs are now vulnerable. Not in 40 years from now, but some technologists see this beginning in as little as 5 years! Uber is disrupting its own model by investing in self-driving cars and potentially impacting its own drivers. Planes, trains and ships will inevitably transition towards automation too. Last week, Amazon announced a mysterious warehouse in the sky, with home delivery from drones, the latter already in advanced testing. How many FedEx, UPS and USPS drivers will this effect? Robotics are already in use in warehouses to stock and move goods. 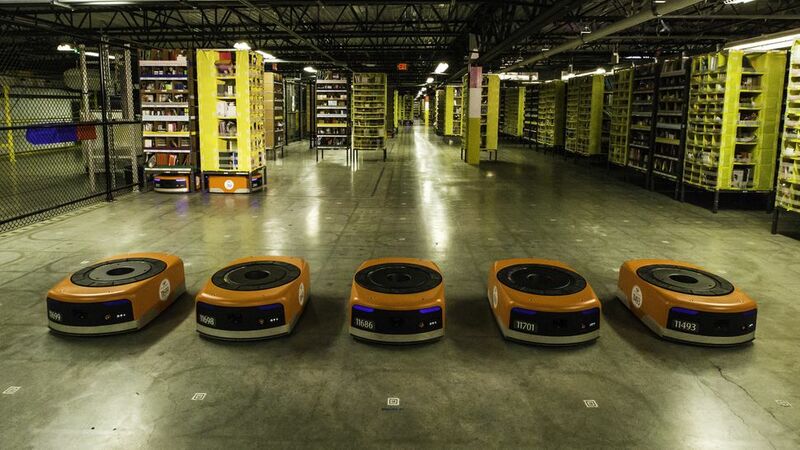 Amazon is using over 45,000 robots in its warehouses. More jobs look susceptible to the technology and automation juggernaut. Recently, Amazon also introduced Amazon-Go, a new model that allows buyers to walk into a store, with no staff, and walk out with their purchases which are charged automatically via sensors and bar-codes. If this model takes hold, the 3.5 million folks working as store clerks and cashiers, might be impacted. 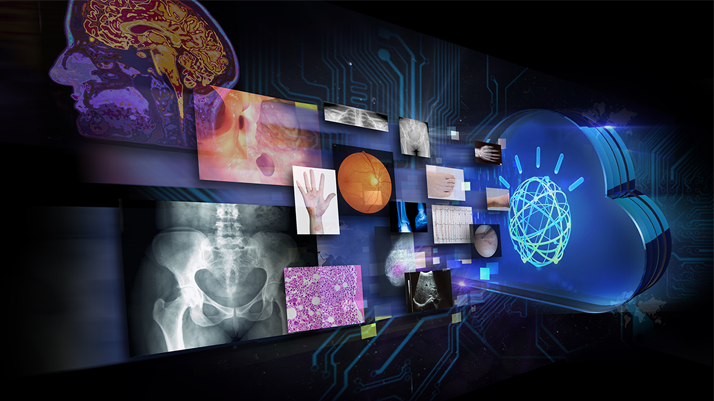 IBM Watson reads medical images more accurately than radiologists. Some surgeries are better performed by robotic assistants. How long before significant portions of the healthcare sector, one of the largest in the country, is also affected by loss of jobs? Experts seem to agree that this shift is not a matter of if, but when. The world’s largest hedge fund now uses artificial intelligence instead of humans. Are banks, insurance agencies, real estate agents and other service industries next? Quite likely. A lot of people push-back and berate such nightmare scenarios, and cite prior seismic shifts e.g. the industrial revolution, from which mankind managed to adapt just fine. Evolutionarily speaking, man has an undeniably amazing capacity to change and adapt. The current difference is not so much the change itself, but the rapidity of the change, that may be making this era different. For example, it took a generation or two for the automobile to become the global de-facto standard for transportation. Today, in less than 10 years, a full fifth of humanity (one billion people), is on Facebook! These vectors are not similar; they are not even close. Another nothing-new-here argument rests on prior technology shifts where demand for affected jobs actually increased. For example, with the advent of ATMs, human bank tellers did not evaporate. Banks realized operational efficiencies with ATMs that enabled the expansion to more bank locations, requiring more tellers, whose roles expanded. On the flip side, we now have Ally Bank that has no locations, no tellers and is only available online. Regardless of the net job count, the individual job’s demands, and resultant skills, are the critical point of impact. Jobs may not be going away, but the skills for good jobs are rapidly shifting. 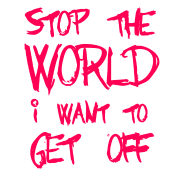 This new paradigm cannot be managed by stopping the world and getting off. No historical era has successfully stopped and rolled back technological change, at least not for any appreciable period of time. Instead we need to change the fundamental manner in which we adapt; and we have to accelerate the creation of effective tools to enable and support societal acclimatization to this new epoch. We need to better understand what work will be best done by humans, and how best to train people to do it. Our education system prioritizes years in under-graduate and graduate level programs, which for some realms is justified. But as Friedman points out, “We simply cannot continue with this binary system of degree or no degree, where the key to inclusion is pedigree and not what you actually know and can actually do.” And if Oxford can educate students to obtain a Bachelor’s degree in 3 years, why do our schools take 4? In fact, nearly 64 percent of jobs in the US don’t require college education. And most significantly, many prestigious organizations like the Big 4- Ernst and Young, PricewaterhouseCoopers, KPMG and Deloitte – no longer require college degrees; they evaluate prospects on the basis of their “potential” – novel idea! Some of the current courses at Udacity include: Artificial Intelligence (IBM Watson and Amazon Alexa), autonomous driving (Mercedes Benz) and VR engineer (Google). They guarantee that those who complete the course will find a job, or they will return 100% of your money! They will refund you 50% of your tuition for just completing the course in 12 months. As close to a win-win situation as you can get. LearnUp, another new company in this space, encourages job seekers to find on its online platform a mini course they can use to learn about the actual requirements and skills needed for a job before they apply. Once you complete the course, LearnUp actually sets up a job interview for you with the company of your choice. LaunchCode, yet another entrant, matches you with one of its 500 employer partners for a paid apprenticeship, typically twelve weeks long. 9 out of 10 apprentices are converted to full time work. Enterprises are beginning to recognize that they need to innovate, and to reroute their employees at a similar pace to this new rapid change paradigm. Adaptive traditional or startup educational institutions must likewise move faster to provide opportunities and leverage technology to meet the demands that technology itself is creating on society. We have to build relevant skills. The Europeans have been doing this via apprenticeships, perhaps we need to look at that model. We have to connect workers with jobs. Today we have 5 million job openings and 7 million unemployed. And we have to get workers to where the work is. Perhaps more remote work, better skills focused assistance and even relocation grants. Australia provides $ 6,000 for job seekers willing to move to a new job. The public, nonprofit and private sectors have to contribute and work in step. The exponential change drives companies to extol to employees that lifelong employment today, also means lifelong learning. “Change-Elasticity”, i.e. the stamina to adapt faster, is now a survival skill. Change management is one of the most critical skills for leaders, particularly those who are responsible for integrating sustainable technology into organizations. Can we put the technology genie back into the bottle? Not likely, nor should that be the goal. Instead, we have to collectively raise our game. We have to learn to move out of our comfort zones, embrace the disruption and realign ourselves with constant learning and innovation to pivot often and stay relevant. We don’t have a jobs gap. We have a skills gap. The arrow of progress moves in one direction – forward. 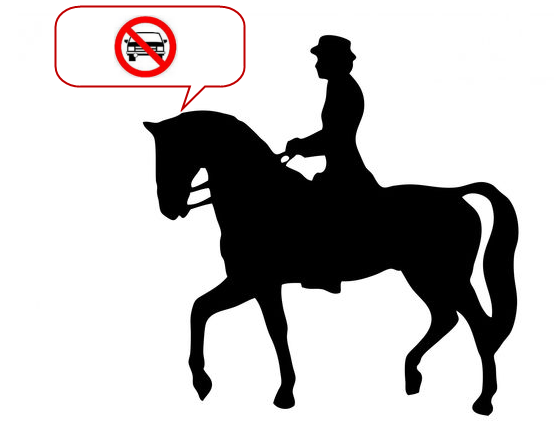 If horses had a say, we would probably still have cars.